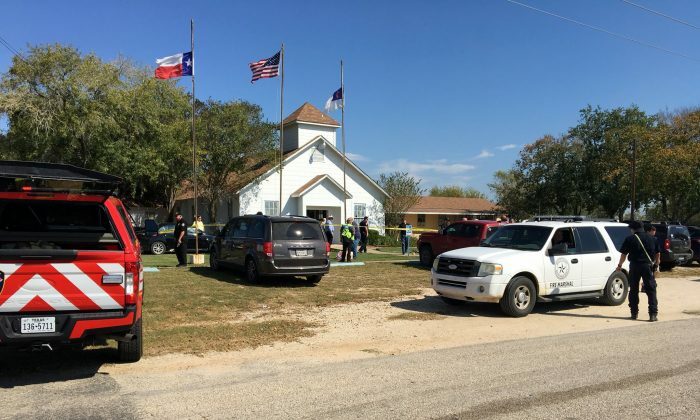 Several media outlets on Sunday evening are reporting that the suspect in the Texas church shooting was identified as Devin Patrick Kelley. Kelley, 26, is a resident of New Braunfels, located near San Antonio, public records show, as reported by The Daily Beast. CBS News and NBC News confirmed Kelley was the gunman. He was reportedly found dead after the mass shooting, which left at least 20 people dead. Details about Kelley, including a motive, have not been released. According to MySanAntonio.com, his home was raided on Sunday afternoon by San Antonio Police. ABC News reported that he displayed a rifle-style weapon on a now-deleted Facebook account. Wilson County Sheriff Joe Tackitt told CNN that at least 20 people were killed. Texas Lt. Gov. Dan Patrick told Fox News that at least 25 people were killed and 30 injured, Reuters. The 14-year-old daughter of pastor Frank Pomeroy was killed, the family told several television stations. “May God be w/ the people of Sutherland Springs, Texas. The FBI & law enforcement are on the scene,” he said on Twitter. According to the witnesses, about 20 shots rang out about 11:30 a.m. (1730 GMT) during the church services, according to media reports. It was unclear how many worshippers were inside at the time. 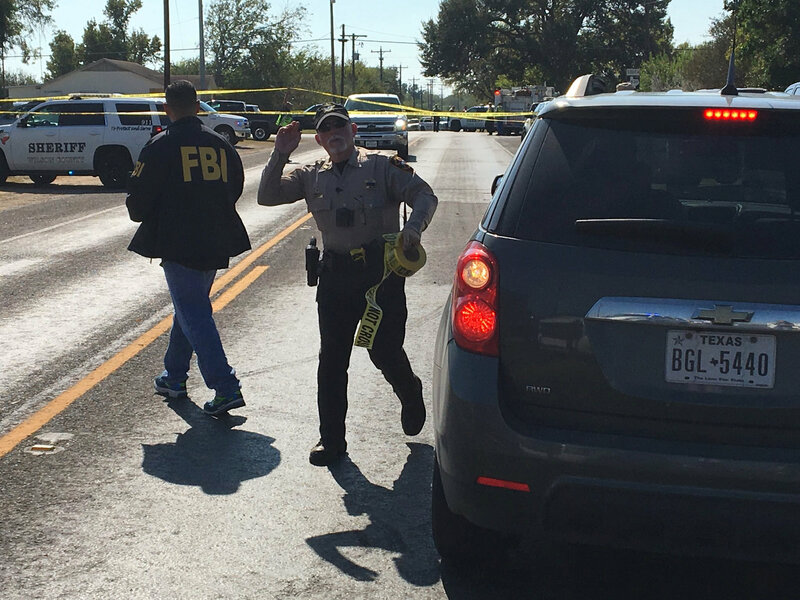 After the shooting, the suspect sped away in a car and was soon cornered by sheriff’s deputies just outside of Wilson County in Guadalupe County, Wiley told Reuters. He did not know if the shooter died of a self-inflicted gunshot or was killed by deputies. This is a breaking news story. More details will be added when they arrive.